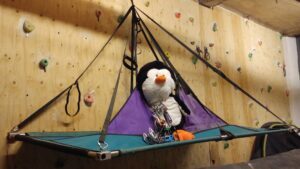 Home / Advice & Info / About Aiguille / Snowsled and Big Wall Gear. Aiguille was established in 1987 and so (gulp!) this year, 2017, we turn 30! No, we don’t know where the time went to either…if you find it, please let us know! You might think that by the grand old age of 30 we had started to slow down a bit…develop back pain and have arthritic ankles! But no, there is life in Aiguille yet! Last year, 2016, we had a complete re-build of our website and on-line shop. We think it is a vast improvement and hopefully this makes it much easier for you to find information quickly and easily. This year, 2017, we have two new exciting developments happening (at least we think they are exciting!). 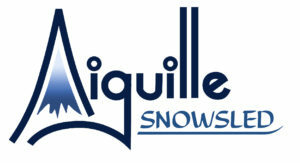 Firstly, as of the 1st June 2017 Aiguille took over the manufacture and distribution of Snowsled pulks and equipment. This also includes the Mountain Rescue approved vacuum mattress which will be added to our Safety & Rescue range. Snowsled was a small manufacturing company based near Gloucester. They have been making pulks and associated polar gear for nearly as long as we have been making rucksacks. The time has come, however, to move on as Roger, a founding member and current Managing Director of Snowsled, has decided to retire. We have taken on his well-established brand of high quality functional products and are keeping them alive through our new product range Aiguille-Snowsled. Secondly, in response to an apparent increase of interest in Big Wall climbing, we are going to be re-launching our Big Wall Range which was last produced in late 1999. Things have moved on a bit in 17 years and so having dragged out our old portaledges, haul bags and gear, everything is having a good overhaul and re-design.We are currently testing prototypes and developing ideas and hope to have some of these products available by the middle of the year. 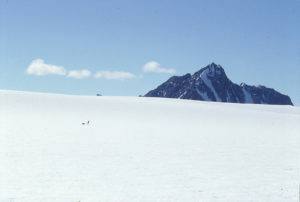 Incidentally, the ledge shown here that “Paddy the Penguin” is contemplating spending the night on is a titanium ledge, produced in the early 90’s.